Thank you for visiting my web site. I am Sandy Smith a Psychic, Medium and Healer using my gifts as a spiritual communication specialist to guide and enhance your life. I use these gifts to create a bridge between those in this world and those in the spiritual realm. I accomplish this by allowing myself to be an instrument in which a higher light source, or a higher power works through me. I use spirit guides who are in the light to help me connect with my clients during their psychic reading or healing. In addition to working with my own guides and angels, I work with those of my clients and their deceased loved ones who provide me with the information my clients need to hear. In other words, I assist in validating information by communicating with your loved ones. Through this method of communication I Sandy Smith can relay messages about your life path, (what you came here to achieve), your talents, your financial future, and about your health, (physical, mental and spiritual), family, and even your past lives to affirm your purpose. My readings, channeling, and healing work are done in a very loving and compassionate manner, always focused on you, my client, as a divine child of God. I incorporate the past, present and the future into my readings to help clients understand why they’ve had certain experiences in this life, how they might enrich their lives and find more meaning. And, I Sandy Smith provide my clients with the tools to achieve this. I also specialize in channeling by helping clients connect with a loved one on the other side. I Sandy Smith assist on providing information for a missing person, for murder cases and cold case investigations. As a Healer, I channel Spirit to work through me to bring healing energy to my client’s physical, mental or emotional state of being, to one aspect or to all. I let Spirit guide me on sending energy to whatever parts of my client’s body need healing. 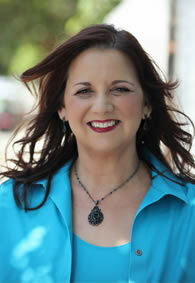 As I Sandy Smith send energy, I am provided insight into the reasons why that person is having problems. I discuss with my client what information I psychically receive. If the problem is not alleviated, I psychically give my client the tools to help deal with the issue or continue with further healing processes. Animal Healings and Animal Readings are done with respect and compassion for the animal and the animals’ person (owner). I Sandy Smith spiritually connect with the animal; ask the animal if it’s okay to communicate with it, allowing the animal to feel safe with me. I then work with the animal in whatever capacity the owner wishes, always being sensitive to the physical and emotional state of the animal, as well, of course, to the emotional state of the owner. My goal, regardless of a client’s situation or circumstances, is to bring peace, a greater love for oneself, empowerment, healing and ultimate happiness to all who seek my counsel and to provide them with the tools to achieve their hearts desire. "Amazingly, Sandy Smith knew information about an unborn infant's health despite the fact that all the blood tests and sonograms indicated no abnormalities."